Yilan is found on the east coast of Taiwan right next to the country’s capital, Taipei, which makes getting to Yilan extremely convenient. Yilan is extremely accessible from other parts of Taiwan and is well connected to Taipei as well. Most modes of transport revolve around road and rail networks. Since Yilan is located extremely close to the capital city, it does not have its own international airport, which is why getting to Yilan by air is only possible from Taipei’s Taoyuen International Airport. This international airport is known to be one of the busiest in Asia, with flights coming to and from the city and other major cities around the world. From the busy international airport of Taiwan, travelers will then be choosing a particular mode of transport to get them to Yilan. But to get one point straight, Yilan City should not be confused with Yilan County. But where is Yilan City and where is Yilan County? Yilan, like most cities in Taiwan refers both to a city and a county. Yilan City is the capital of the Yilan County of Taiwan which makes the city located inside the Yilan plain. It is found 24°45’N 121°45’E on the north side of the Lanyang River. Getting to Yilan from Taipei is less than an hour’s drive by use of a car or bus. Shared taxis and busses travel between Taipei and Yilan constantly by use of the Taipei-Yilan Freeway No.5 South. A shared taxi can seat about four people, which will cost about $250NT per person. These taxis are called shared taxis because they wait for at least four passengers before leaving, making the fare extremely reasonable. Buses are also a good mode of transport to use either by Capital Star or the Kamalan as both are known to provide nice and comfortable trips between the two cities. But with the many routes that go throughout Taiwan, make sure your bus ride has Yilan as one of its main stops, just to be safe and certain of where you are going. For the more adventurous and active travelers, you can do away with traditional modes of transport and opt to rent a scooter from Taipei. Head on to Yilan with your rented motor and go through the old mountain routes for a fun-filled yet tiring trip. It will also bring you some of the most breathtaking views when choosing to get to Yilan by a scooter. Getting to Yilan by land by use of a train is also possible. 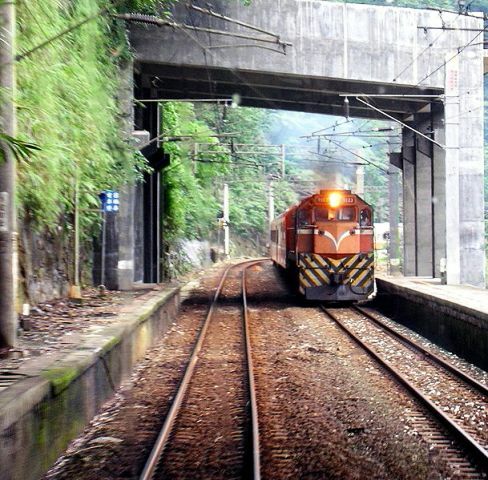 Take the North Railway Line fast train or Tze-Chiang to the Toucheng, Louodong or Yilan Stations. You can also take the Putongche railway but this route is known to be extremely slow and is reserved for those who are in no hurry. The different modes of transport on getting to Yilan are an adventure in themselves so make sure to choose your preferred mode carefully. The destination is as remarkable as the journey to Yilan, so make sure not to undermine one or the other.